Michael Gallagher’s career reflects his passion for recognizing achievement across the diverse spectrum of business. To honor the millions of business executives and workers worldwide who quietly accomplish innovative and extraordinary things in the workplace every day, Michael founded the Stevie® Awards in 2002. The name Stevie comes from the Greek name Stefanos, which means "crowned." Michael’s commitment to honoring excellence was sparked during his tenure as Vice President of The New York Festivals, organizer of the some of the world’s largest international awards competitions for film, television, advertising, and other media. Under his leadership from 1982 to 1988, The New York Festivals significantly expanded its global influence by adding new awards competitions in fields such as radio and print advertising. Michael holds a bachelor of arts from Fordham University in New York City and a master of business administration from George Mason University in Fairfax, Virginia. 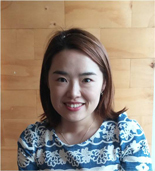 Clara Im has 13 years experience in public relations and corporate communications with Hanaroadcom, the Korea Trade-Investment Promotion Agency, and the Korea Leadership Center Group. Clara works to raise awareness of the Stevie Awards, particularly our new Asia-Pacific Stevie Awards program, throughout the 22 nations of the APAC region; to provide communications support to our marketing representatives in key Asian markets; and to support the needs of media, entrants, and judges throughout the region.